Retirement coaches are keenly focused on the challenges and opportunities of this complex and major life transition. You are moving from a long history of having your time and identity largely defined by your profession into a period of life where you choose how you spend virtually all of your time. You may find you lose friends, routine and identity. The research is clear that persons in the retirement phase of life thrive if they are strongly connected to friends and family, feel purpose and meaning in their lives and proactively take responsibility for their health, attitude and spiritual life. We don’t know how long we will have in this phase, but we have control over the quality of our life. A retirement coach works with you to inventory all your gifts, interests and passions and helps you create a plan for the major changes you will experience. They help you learn to hold yourself accountable to insure you stay on your chosen course. 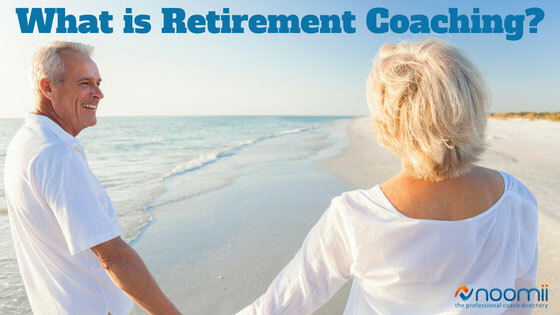 What Can a Retirement Coach Help With? What is important to you in this last chance to be everything you are capable of? What are the Benefits of Retirement Coaching? You avoid emotionally and financially costly mistakes of putting off figuring out how to spend your time, renegotiating key relationships, making decisions on where and how to live, and finding engaging, fulfilling ways to best use the rest of your life. It both enhances the precision of making and implementing a plan while speeding up the process of getting it right the first time. Retirement coaching is a significant investment of your time, energy and money, but it can have enormous dividends for your future. Who Can Benefit From Hiring a Retirement Coach? You are eager to take full responsibility for planning your time and want to connect with all the dreams of a lifetime, and make them come alive. You need to decide where to live, how to use your time, and what of your gifts, skills, talents and passions to focus on. You want to get it right knowing that you have a finite amount of time left and you don’t want to make major mistakes knowing you don’t have the time to easily recover. It may be five to 10 years earlier than you expected and you are feeling panic about two giant problems: how to get a job that will allow you to eventually retire and how to connect with a career that is fulfilling while providing a foundation into retirement. You need a blend of both late career and retirement coaching, now. You planned to work past the "expected" retirement date, but your employer is sending signals that they would like for you to go. Your status, feelings of self-worth, social circles and purpose are intimately tied to your job. How do you begin to figure out what you do next? You need help to broaden your perspective from the decades spent in a professional capacity and discover the hidden parts of you. Retirement coaching can avert depression, conflict with your family and help you gracefully exit to an exciting future! You have traveled, played, and rested. And, bored. You are wondering, is this it? Is this all there is to the next 20-30 years of my life? You would benefit from knowing your life purpose and connecting with your lifetime of dreams to reconnect with meaning and purpose. You need some help to connect with your passions and purpose to live this last stage of life as fully as is possible! Your spouse and you do not agree on your goals for retirement. Friction and frustration are present. You could change partners, but you know that is the single most devastating step to your finances you can take. Not to mention the disaster divorce is to family networks, your emotional and physical health, and your identity. What are your alternatives? Retirement coaching is not therapy, but with the help of a coach you can each identify your goals for retirement, reconcile them on behalf of your relationship and create a plan for your future together. What is the Difference Between Retirement Coaching and Therapy? Retirement coaching, like all forms of coaching, is three ways different from therapy. Therapy deals with healing pain, dysfunction and conflict in an individual or in relationships. Coaching supports personal and professional growth based on self-initiated change in pursuit of specific actionable outcomes. Coaching is future focused, while therapy often is resolving differences from the past. Emphases in a coaching relationship are on client action, accountability, and follow through. In therapy the client is looking to improve overall psychological functioning and dealing with the present in more emotionally healthy ways. How Long is the Retirement Coaching Process? A retirement coach will assess your needs and desires and match you with a program that they are confident will produce the results you want. Typically, a coaching program, designed to help you create new habits, will last several months. However, every coach is different. It’s important to have a consultation with more than one retirement coach in order to find out which will best suit your coaching needs. How Do I Find the Right Retirement Coach? You are looking for a coach to help navigate an incredibly important, arguably your most important, life phase. It is not enough to just get through the transition, this is the time when finally, you can be all you can be. You want a coach that foremost, you connect with. They will leverage that connection to help you stretch, dream, and begin to break down your self-imposed limits of a lifetime. Coaches know that the connection is important and many offer a complimentary session so you can each interview each other. Select from candidate coaches that are continuously investing in their professional skills and are dedicated to professional ethics and excellence. The best coaches have spent hundreds if not thousands of hours learning their craft. Even if they have complimentary professional skills, coaching is a unique discipline. They are often members of International Coach Federation. Coaches will propose programs consisting of coaching hours and support (packages). Their prices will vary, as will their skills and backgrounds. Talk to three or four coaches and find out about their approach, how well they support your needs, cost and then choose the one that has the best fit for your budget. At Noomii, they make the process of finding the right retirement coach simple. You can browse through our directory of retirement coaches or request a personalized coach recommendation and they will find retirement coaches for you! Stephen Wiedner’s advice on choosing a Life Coach is comprehensive. I highly recommend you check out his article. This is a post written by career and retirement coach Alan Young. LOOKING FOR A RETIREMENT COACH?